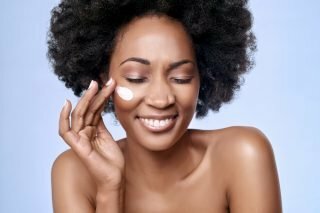 When it comes to beauty and skin care, drinking plenty of water and always using sunscreen are age-old remedies that have and should always stand the test of time. However, while these two elements should always be part of your daily routine at any stage, it’s also important to ensure that the skincare routine you follow is both appropriate and effective for your age. As we age, it becomes increasingly obvious that what used to work for us in our 20s, has little effect in our 30s, let alone our 50s. We find ourselves drinking less alcohol, stretching more and being more conscious of what we put in our bodies. Thus if we re-evaluate and change our dietary habits with every passing birthday, why shouldn’t we do the same with our skin care routine? According to Doctor Janine Olivier, founder and sole practitioner of the Huidaesthetics boutique aesthetic clinic in Waterkloof Heights, Pretoria, when it comes to healthy and graceful aging, you are indeed what you eat and apply. While this is the stage in our lives where we experiment with beauty and skin care, in hopes of uncovering what works for us – our 20s are also the period in our lives when we start to age. 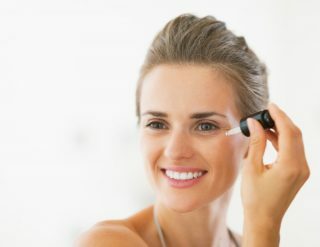 Essentially, our 20s are the first steps in ensuring graceful aging as it is here where you start to use products that help prevent damage before it even occurs. This is often done by the regular use of sunscreen, eyes cream, chemical peels and vitamin A. By the time we reach our 30s, the speed at which our skin cells regenerate has considerably slowed down and collagen and elastin are not being produced as quickly as they were in our 20s. This then result in dull and dry skin as well as some fine lines. As a result of the moisture and volume loss, it’s important to stay hydrated by drinking plenty of water while also staying conscious of facial expressions as these can often create frown lines. Your 30s are also the stage where you start spot your first few wrinkles. As a result, you start considering the use of non-invasive aesthetic procedures in hopes of erasing some of the tell-tale signs of aging. As you reach your 40s, you’ll notice that expression lines, fine lines and wrinkles are much more deeper and pronounced than they were in your 30s. 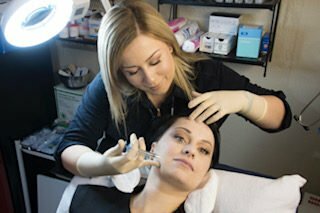 Like your 30s, when you’re in your 40s you also look to non-invasive procedures as well as retinols, peptides and other anti-aging products that contain hyaluronic acid in hopes of restoring the rapidly declining levels of moisture, collagen and elastin. Moisture is the name of the game as you enter your 50s. This is why it’s important to ensure that all your skin care products contain moisture-inducing and hydrating ingredients, such as hyaluronic acid and glycerin. Furthermore, as your skin barrier has considerably weakened, it’s important to take precautions against environmental factors such as pollution and UV exposure. This is also the time where you want to start seriously considering aesthetic procedures. According to Dr. Olivier, a holistic approach is the best and only solution to counter the physical and psychological effects of aging and preserve your beauty. In fact, she truly believes that we are more responsible for our aging effects that we think. With the rise of personalized health, a lot of the individuals in their mid to late 20’s are looking to maintain their youthful appearance before it even starts to fade. To cater to the increasingly young market, Dr. Olivier has begun to regularly give out low dose treatments to counteract gravity and volume loss. Not only does this action help to main good facial structure, but it also ensures that said individuals will not look to more dramatic interventions when they are older. This is mostly Dr. Olivier’s target market and they are individuals who have just noticed the first few tell-tale signs of aging, particularly those in their 30s. In hopes of effectively making their aging more subtle, Dr. Olivier helps them by injecting just enough product to erase some of the tell-tale signs which include getting rid of most wrinkles and restoring volume loss in order to make them look naturally younger. As opposed to focusing on just appearance, these individuals factor in their hormone profiles, genetic testing and overall good health. These are individuals who reach a stage in their lives where they want to take full control of their appearance – by completely changing it. They set out to have volume, a non-invasively done straight nose and a face completely void of any wrinkles.While the ease at which this group experiments is no cause for concern, their high expectations and unrealistic image of self and product is. As a result, Dr. Olivier makes sure that offers careful consideration of what is possible and what is not possible while also screening for an underlying Body Dysmorphic Syndrome having ‘cool down’ periods before commencing treatments. Dr. Olivier’s nine-year involvement in the practice of aesthetic medicine and extensive experience and special interest in the field of internal medicine. The physical and biochemical processes of aging has allowed for her to become of the most respected aestheticians in the country, and with her holistic approach and aesthetics, she views beauty and health as a multifaceted mode. This then allows for her to provide the perfect tools to help you age gracefully. 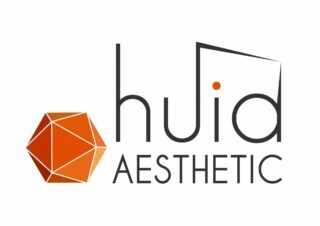 Click on the link to find out more about her specialized practice at HuidAesthetic and follow their team on Twitter at @HuidAesthetic.